Meanwhile… we’ve actually been playing games. Each week we recap our recent gaming experiences and tell you what we’re looking forward to, so you can use your time more wisely than we have. It seems like everyone is playing the new version of “Contra” and enjoying it despite it’s frustrations. Except for Ethan, who is imagining new ways to create awesome games out of existing properties. Cole can’t seem to make up his mind which game he wants to play while the original Justin gets derailed by a friend popping in. Gifford is still hunting and killing in the Old West. Will he ever get out of that place? And our guest this week, Coopopolopolis, is letting work get in the way of more important things, like gaming. Yes, there is a spread gun. Kicked off the week with Hard Corps: Uprising. It is pretty much exactly what I expected and I’ve been enjoying the hell out of that one despite its quirks. Turn down the Voice FX and learn to use that dash button and you will start to feel a bit more at home. Of course, you’ll realize that dash button just cost you all of your lives, so you better memorize the level like you did with Contra before you run around like an anime-looking mad dog. When friends randomly drop by to visit it usually alters my video game focus to multiplayer games. One of my college buddies surprised us with a visit this week so we squeezed in a few games of NBA Jam this past week. He struggled adjusting to the controls and we both agree that turbo should be on the right shoulder buttons, not the left. After dominating him the first two games, he did take home the final game with a dramatic comeback. While little things have changed with NBA Jam over the years (like how impossible it is to stay “on fire”), the trash talking is as strong as ever. I also demo’d the original Dead Space for him a bit. That game is much creepier than its sequel, but mainly because everything is so much more unknown at that point. It didn’t feel as dated as some other original titles that I’ve gone back to post-sequel though. Lastly, after a rowdy night out we did get in a few rounds of 3am You Don’t Know Jack. Never play that game with pwrglove, it doesn’t matter how many screws you have, he knows all of the answers. Enough of this exploration though. This week we are staying focused on the ridiculous. That means plenty of WoW, and plenty of skill/nut shots in Bulletstorm when that comes out. I’m excited to learn a few more creative uses of my favorite words. This is what we might look like after the all-nighter. 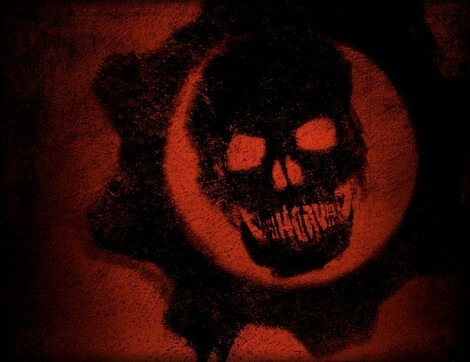 Gears of War 2: finally have this game in my collection. I’ve heard good things, we will see. Alan Wake: Still waiting patiently, maybe I’ll find some (night) time to get to this soon. Enslaved: Not too happy getting passed by again and again, but hey I least this copy got purchased. NBA Jam: Not the traditional “story” based game but I still need to unlock all the classic players. Red Dead Redemption: I totally failed in my goal to get to Mexico last week as basically, I’m full of crap when it comes to predicting how much gaming I’m actually going to do during the week. Hard Corps: Uprising: I don’t know about anyone else, but this game is frustrating as hell and I haven’t been able to pass the first level…yet. It’s pretty fun though. I can’t wait to get some co-op going on this to make it a little bit easier. So, if I get to more than one of these games this week, it will be a successful one. I don’t have time for anymore new releases until I get through this list. I better step my game up. Mechs vs. Monsters. Ethan's on to something. 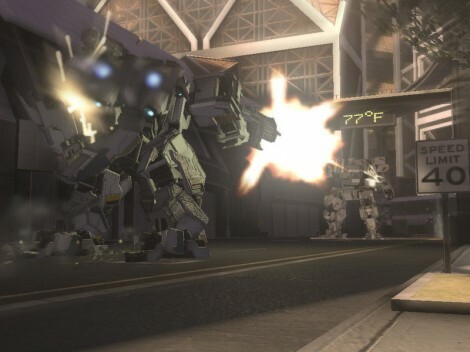 I’ve been playing Front Mission Evolved for the last few days after having a dream about piloting a mech suit. I love the idea of robot suits, but it seldom finds its way into my gaming. The game itself has some cool features, such as customizing your suit with different weapon loadouts and pretty intense fire fights. Unfortunately, the game play can be a bit bland at times and I’ve yet to be able to sign onto a multiplayer match. That being said, its simplicity is a welcome change of pace for me and it is cool to fire 4 different weapons at the same time. Which brings me to my desire to play a mech game where instead of fighting other mechs you fight monsters ala Power Rangers (though not as corny). The distraction list continues to grow as the gaming back log stays the same. 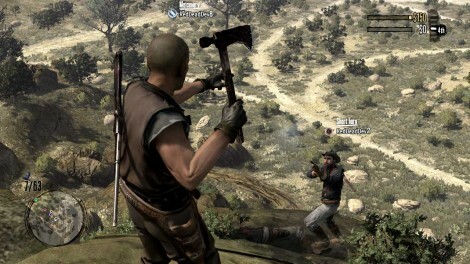 Tomahawk mastery is something we should achieve in real life. I’m still trying to wrap up Red Dead Redemption – my fanatic attention to finishing all of the in-game mini-quests like Tomahawk Mastery and Sharpshooter is making the end-game absurdly long. As I mentioned before, some of the things that I didn’t like about other RockStar games are starting to show through a little here with the collectibles and, at the end of the game, the random missions start to get repetitive. On the other hand, most of that is a result of my style of play which is to grind away at a game until I’ve beat every last little bit of it (or almost all of it). In between times, I got into Hard Corps: Uprising…which totally deserves “Contra” in the title as it’s harder than hell. The animation is absolutely gorgeous and I really like the Uprising (progression-style) game mode that lets you “level up” your character’s weapons. I’m looking forward to playing some multiplayer, though, because I’m pretty sure that would make my life a lot easier (and give those damned snipers someone else to shoot at). 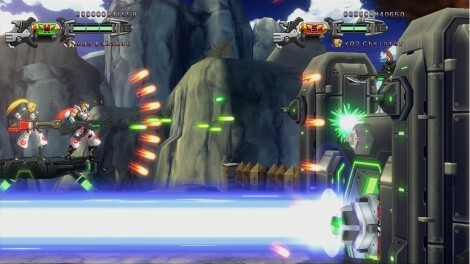 End-note: another reason Hard Corps: Uprising deserves the title Contra? They got rid of the laughable F gun from Contra and replaced it with a H gun that is passable…but they introduced the R gun, which shoots about 3 feet in front of you IF YOU’RE STATIONARY. Start moving and you might as well be playing with the dude from Rush’n Attack. Get your priorities straight, Coop! I do plan to do some gaming this week. 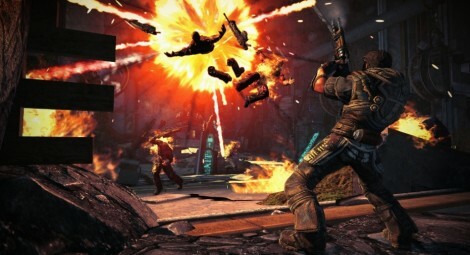 Thanks to Amazon.com I picked up Bulletstorm for $40, which is a killer deal. If they continue to provide $20 Amazon credit promotions with game pre-orders they’ll probably beat out Best Buy Rewardzone points for me for sure. I can’t wait to dive into that game and own the leaderboards. The arcade aspect that comes with that game is going to be extremely addicting. I’ve already found myself checking out videos of how people are stringing combos together for higher point values. I also couldn’t be happier with the arsenal of weapons. It’s going to be very satisfying. Last night I also decided to give the PS3 some love and a break from its typical activity which is just playing Blu-ray movies. I downloaded and played through the Killzone 3 demo. I was actually pretty pleased. I won’t go into too much detail so I can save it for a preview, but I might end up giving that one a try sometime. I definitely wish I could somehow hook up my ps3 to my XBL gamerscore. That might get me to that one quicker.